Neighbors in the Hamilton Heights/Sugar Hill historic district gathered to protest the potential opening of yet another drug treatment facility in Harlem. According to officials 13 of the 29 methadone clinics in Manhattan are located in Harlem. The operator, Argus Community Inc. needs to get a license from the State to operate a methadone clinic and neighbors are trying to prevent that from happening. The building in question 730 Saint Nicholas avenue was purchased for $ 4.3 million in August of 2017. Why does an operator buy such an expensive property in a landmark, residential district to convert to a methadone clinic? 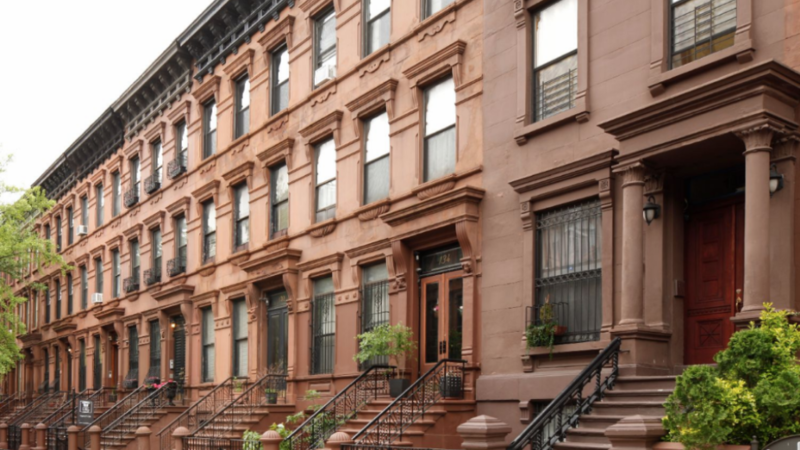 The LPC has approved the designation of a new historic district for Central Harlem. The stretch between West 130th street to West 132nd street between Lenox and Adam Clayton Powell encompasses 164 buildings which are mostly row houses. 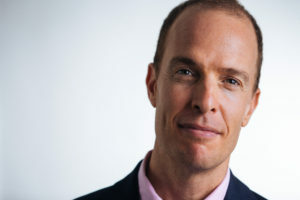 LPC rules take effect immediately. But with the LPC currently without a leader and reform potentially coming to the commission, the precise effect of new historic districts are unknown at this point. 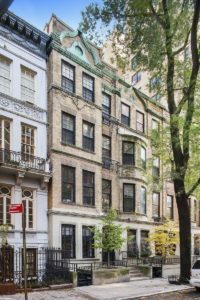 What use are air rights in a Manhattan townhouse in a historic district? 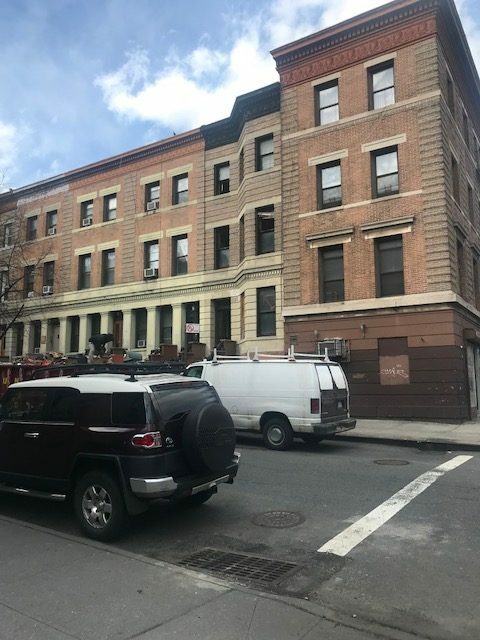 If your plan is to expand a Manhattan townhouse in a landmark district you will need to get approval from the Landmark Preservation Commission(LPC) before getting a Department of Buildings Permit. You should hire an architect who is familiar and has worked before with the LPC so that they can best advise you. Generally, you might be able to build an extension on the back of the house that will match what the LPC has approved for neighboring properties but they may or may not let you go as high as they did. Also, materials used in the renovation will influence their decision to approve or deny including down to the types of windows and colors of the window frames. Putting a penthouse on the roof might also be acceptable but it can not be visible from the street. 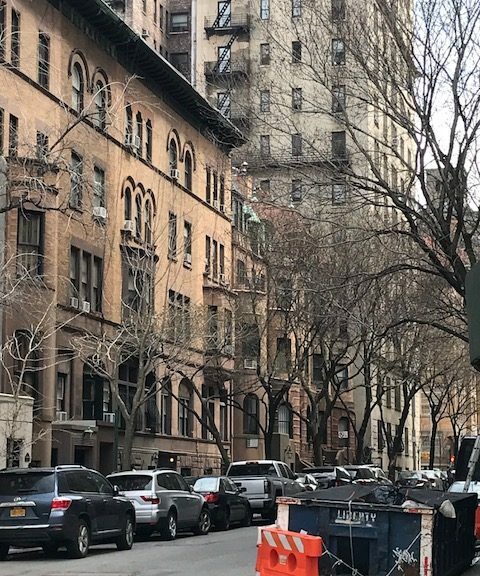 So you might have 3000 square foot of air rights left on an Upper West townhouse on park block but the likelihood that you will be able to use them all will be small. 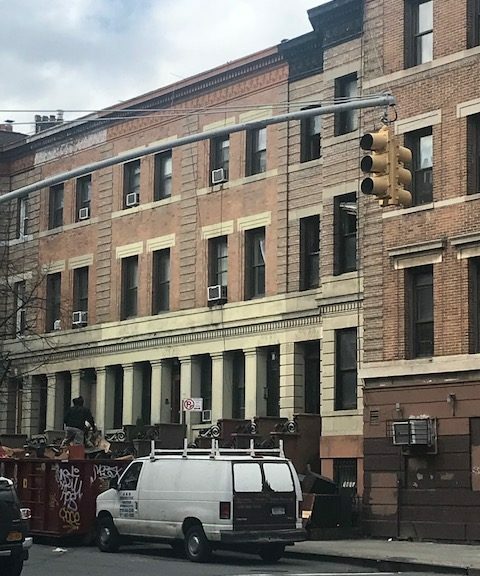 401 West 147th street, a 16′ wide townhouse that has been abandoned for the last several years, in the Historic district of Sugar Hill, is being cleaned up. A crew of 2-3 people were in the house yesterday loading up a full dumpster’s worth of materials. No permits are filed to give an indication of what work will be done. But at least, this may be the beginning of the end of this being an eyesore of one of Manhattan’s most beautiful blocks. 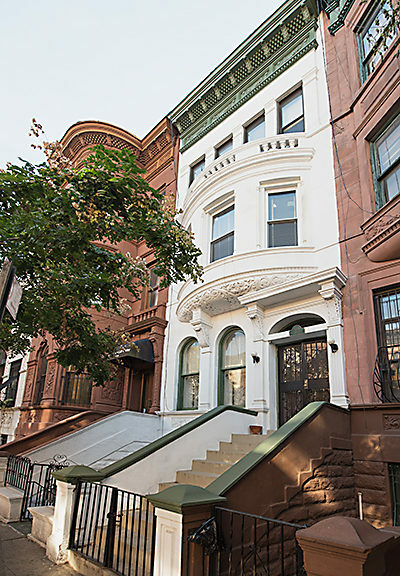 15-17 West 94th street– Two interconnected townhouses on a Park block which offering a mixture of free market and rent stabilized tenants were sold for a total of $9.6 million. The buildings were 18′ wide each and about 70 feet deep. 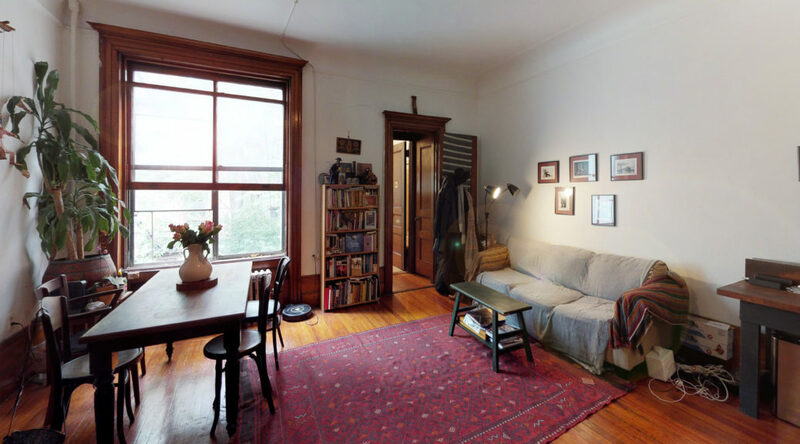 This properties will be ideal for a conversion to condos or maybe a large mansion. The purchaser was Dikran Properties LLC. The sale closed 1/30/18. 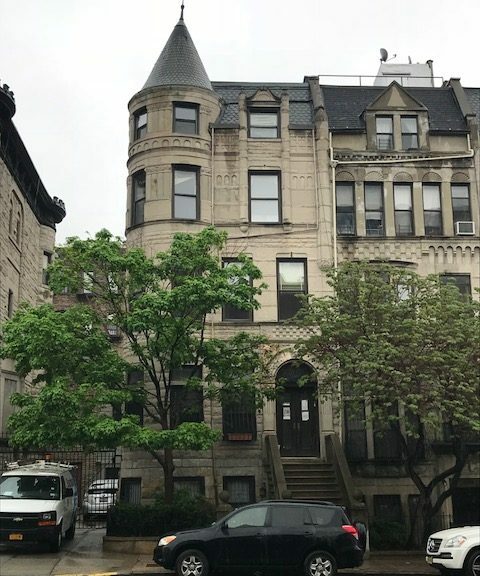 42 West 94th street- Also located in the Upper west side/Central Park west historic district, this legal 8 unit townhouse had a mixture of free market and rent stabilized tenants. 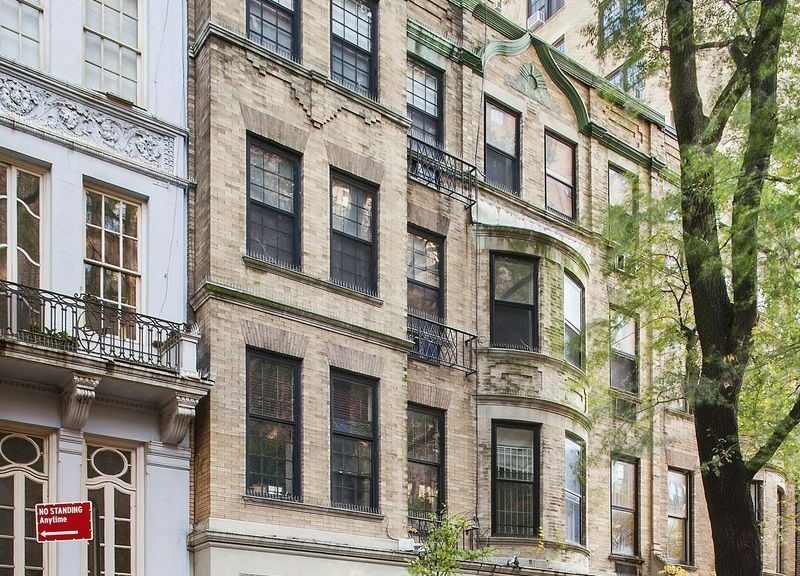 The 17 by 52 built townhouse sold for $4.35 million and closed 1/17/18. 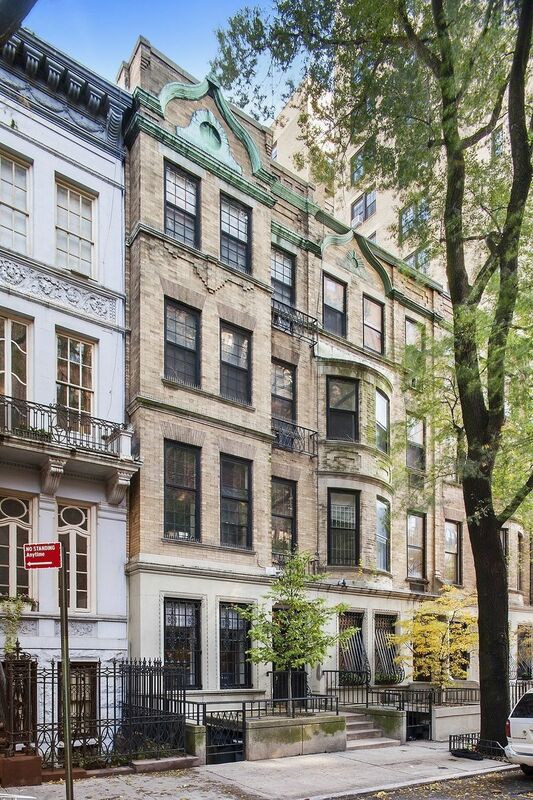 The purchaser was listed as 42 West 94th, Inc. Both of these properties appeared to have changed hands in off market transactions though they were previously listed by real estate brokers.